When the owners of this townhouse purchased the property, it has an ordinary look, a ton of clutter, and a layout that needs improvement. 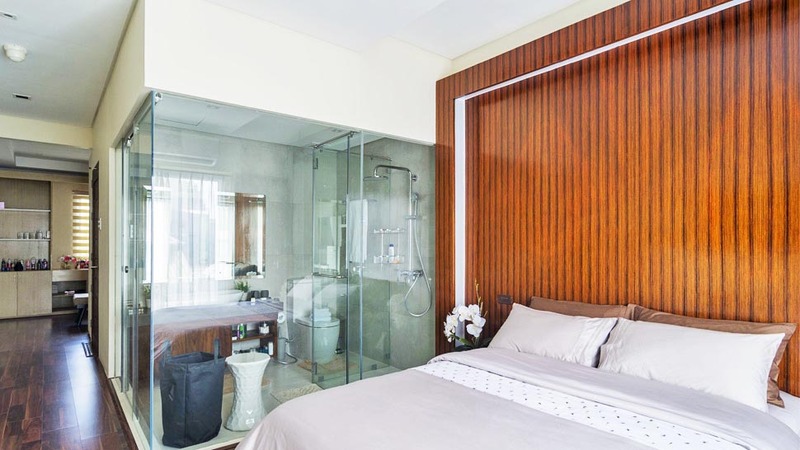 To create a home in the city where they can recharge and spend quality time as a family, they decided to renovate the townhouse with the help of interior designer Johanna Corteza. Though the project involved adding an extra floor, installing a new staircase, and other meticulous processes, Johanna and the owners breezed through each step with ease. Exchanging ideas was easier for both parties as they previously worked on the owners’ 75sqm condo unit in Pasay in 2016. After a long renovation period, the finished townhouse is nothing short of chic and contemporary. The man of the house took inspiration from minimalist spaces and Japanese-inspired design and Johanna expertly executed the design and achieved a beautiful hotel-like look. The kitchen on the second-floor is Pinterest-worthy while the bedrooms can rival the fanciest hotel suites. The best part? The kids have their own rooms too and the youngest ones even have an access to a bathtub—the only tub in the house!